theMCGuiRE review takes a look at Dairyman, a new one from TMG for 2017. 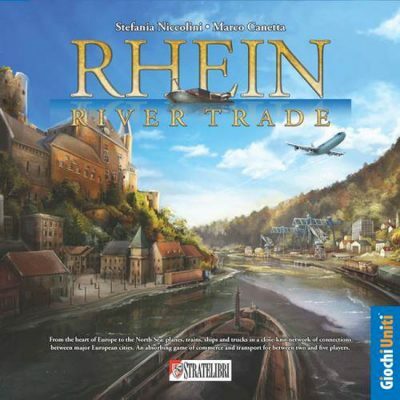 This is a great little game and one of my favorites from them this year. I don't know why, but I love the concept and game play. Its just fun! In this title you are trying to ensure your milk orders do not spoil and you can produce milk each time its your turn. Otherwise, you are stuck with a back order, which can help you out unless you have the most of them. this is a definite title to pick up! theMCGuiRE review takes a look at Bottlecap Vikings, another TMG title that offers the roundel mechanic and a nice technology skill tree aspect that's always fun to build up. Its a quick and simple game, that I find builds memory and tactics. Cult Following is a creative storycrafting card game. Each round two or three players are selected to be cultists. All the other players are designated as recruits. Cultists choose three ideas from a hand of five cards and creatively bind them together into a ridiculous cult. Recruits draw cards with questions and choose one to ask the cultists to help them figure out which cult to join. Each cultist takes a turn to answer. The recruit then picks their favorite answer and gives that cultist their question card, which represents a new follower that has joined that cult. The first cultist to reach two followers wins the round. Alanis Morissette would call it ironic that I am writing a review about Game of Trains while sitting on a train. It’s not ironic, it's just where I seem to spend most of my time these days, squirming on London Midlands putrid green seats that where no doubt designed to eradicate slouching on public transport by 2019. 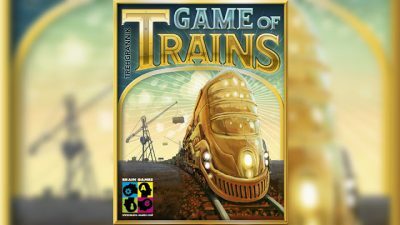 The good thing is Game of Trains is a damn sight more fun than sitting uncomfortably on a morning commuter train, in fact I would go so far as to say that it has been the best game I have played so far in 2017. The premise of Game of Trains is really simple, you will start the game with seven carriages numbered in descending order with any number from 1 to 88. The first person to arrange their carriages into ascending order is the winner. 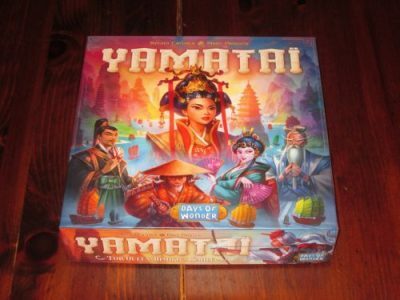 Yamatai is a pattern recognition/building resource management Euro game for two to four players. Players are builders trying to beautify the Yamatai archipelago and be named Queen Himiko’s chief builder. The player with the most prestige at the end of the game wins. 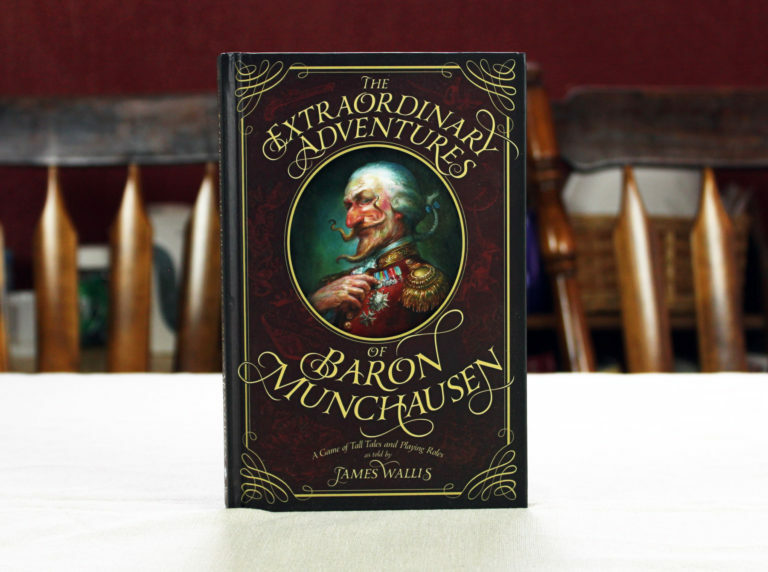 Baron Munchausen is a game of telling outlandish tales to impress your friends. The Great Duke of Carrotsberry then proceeds to weave their tale, making sure to present themself as outlandishly heroic, equipped with sheer ingenuity and strength in all forms. The story shouldn’t drag on; only a few minutes should do it, lest the Duke be deemed long-winded. (A player can be cut short with a toast if someone goes on too long). 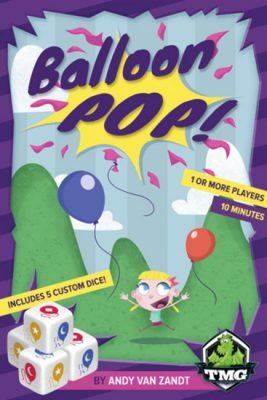 In Balloon Pop, players start with 3 dice and can choose to reroll some or all, but if you do, you add a die to the next roll. Once a player re-rolls twice or is satisfied with their roll, they record the results on their scoring sheet by circling the numbers listed. 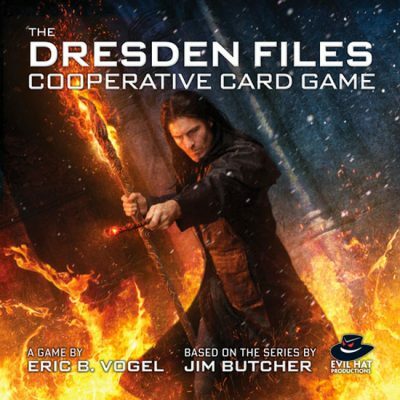 The dice are then passed to the next player. When scoring, it’s important to note that players will only score when a player circles the last red number under the balloon. This signifies a “Break.” If there is a Break during the round, all players continue to take their turn until reaching the starting player. All players then score points equal to the circled numbers in each column. If there are multiple breaks in a round, only one scoring takes place. After three Breaks, players will total their scores from all 3 Breaks and the player with the highest points is the winner. 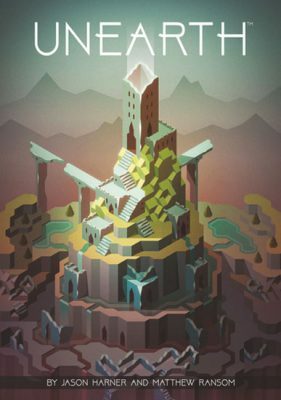 Each player begins the game with a secret ruin card and a set of identical dice, which range from 4-sided to 6-sided to 8-sided. There are no rounds in Unearth, starting with the first player, each player takes a turn in a clockwise manner. We are back with another installment of Parental Guidance, where I chose games to play with my parents, and my mother chimes in with her thoughts on the games I brought. 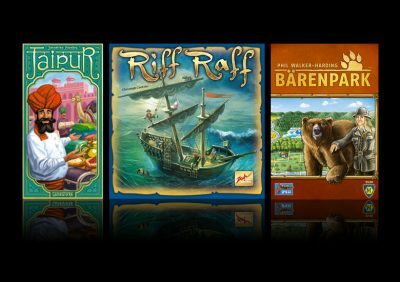 The goal of this article series is to help you choose new games that you can pull out with your family and other non-gamers. Ideally, these will be something different from the Ticket to Rides and Catan games you’ve played 1,000 times. If you missed the first installment of Parental Guidance, be sure to give it a read as there are some good options in there. 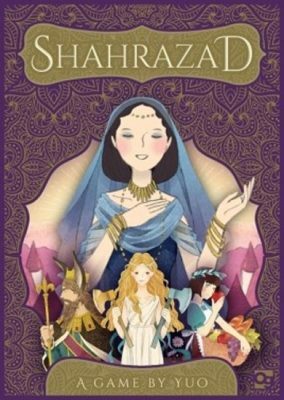 As always, I’ll start with a summary of the game, why I chose it, and my mother’s thoughts. On to the games!